Hulu has been working steadily over the past year to close the gap with Netflix, and now the company has unveiled a true game changer in its battle with other streaming services: a commercial-free option for subscribers. Beginning today, subscribers can upgrade to an ad-free plan for $11.99 per month, $4 more than the current fee for what the company calls "limited commercials." The new tier, as well as the site's robust investment in more content—both original shows and acquisitions—is part of the company's effort "to take Hulu to the next level," said CEO Mike Hopkins. During the company's customer research over the past several years, "what we've heard loud and clear is that some segment of our customers would like us to offer a commercial-free plan at a higher price, and so that's what we're doing." But at the same time, the company stressed that it remains committed to advertising. "This is not our exit from the ad business by any stretch. Advertising will continue to be central to our business," said Hopkins, pointing to the company's programmatic ad strategy announced last week in which it will partner with Oracle Data Management Platform and Facebook-owned video-ad platform LiveRail to offer programmatic advertising options for the first time. That deal, added Peter Naylor, svp of ad sales, "is evidence that we're absolutely pursuing a dual revenue stream with subs and advertisers, and we do not intend to miss a beat. The research gives us confidence that that's going to be the case." Hulu's hope, said Hopkins, is that both plans "grow sharply" and that the company will continue "to be a great place for advertisers." Naylor's ad sales job would seem to have grown considerably more difficult given this news, but he said that's not the case. "The most interesting research that gave us confidence that everything would be good for advertisers was when we examined why people might switch. It really wasn't about age or income or gender—it was about attitude towards advertisers," said Naylor, explaining that the company has segmented the world into "ad acceptors" and "ad avoiders." "There's a small segment of the world that are just avoiding ads at all costs. The good news with this new plan is that we have an opportunity to do business with them," said Naylor, calling the shift "demographically neutral." "I'm still bringing a very high-quality audience to the advertiser, but I would argue we're bringing an even more potent audience to the advertiser, because people who have chosen the limited commercial plan, all of a sudden, now they know why they're getting that plan with ads," he said. "We've had a really great summer writing a lot of upfront business, and I have zero reason to believe that we're going to under-deliver on any campaign. We will anticipate a little bit of shifting, but at the same time, we think that all boats are going to rise to the tide." Naylor, who began sharing the ad-free tier news with Hulu's biggest advertisers this week, said, "By and large, the reception has been met with understanding. "People understand this is good for the brand Hulu, which will give us a better opportunity to continue to grow and to grow our commercial audience that we bring to market every day." As part of Hulu's recent pivot toward being one brand—it shed the Hulu Plus moniker for its subscription service earlier this year—the company's brand marketing campaign won't differentiate between the two subscription options. "Then, when a user gets to Hulu, they're given a very matter-of-fact choice [between the $7.99 and $11.99 options]," said Naylor. "We're not promoting one over the other." While Hulu actively resisted an ad-free option for several years, the tide began to turn a year ago, Hopkins said. The company has spent the last nine months securing the necessary rights from its content providers. "We're launching it now because we have literally just secured all the rights. Getting the rights squared away [is] complicated," said Hopkins. 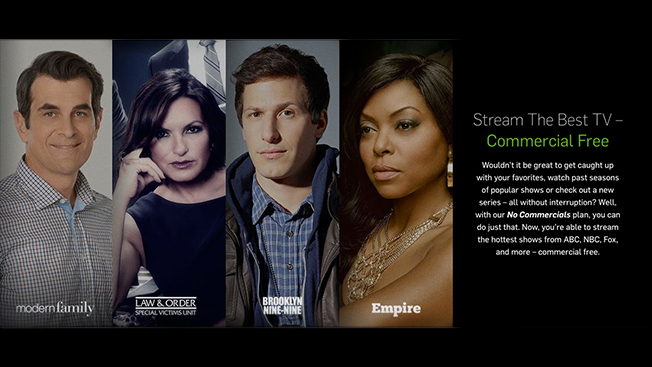 Hulu says it's giving customers a straightforward choice between the ad and ad-free options. It's so complicated, in fact, that seven Hulu shows will not technically be ad free, even on the commercial-free tier: Subscribers will still see a 15-second preroll ad and a 30-second postroll ad for each episode, though there will be no ad breaks within the actual content. The shows that fall under this exception are New Girl, Scandal, How to Get Away With Murder, Grey's Anatomy, Once Upon a Time, Marvel's Agents of SHIELD and Grimm. "We needed to keep [these shows] commercially supported, so they will be," said Naylor. "When the user selects one of these shows, they'll be greeted with a message that says 'this show is outside of your commercial-free plan, but we are happy to present it to you with extraordinarily limited interruption.'" Beyond the time it took to secure the rights for an ad-free option, Hulu wanted to launch the new tier now because "it was important that we get it out in time for people to catch up for the fall season. We have a lot of prior seasons of shows that are going to premiere in the fall. We thought it was important to give that boost and give people that option before they thought about catching up," said Hopkins. While early reports mentioned Hulu was considering charging as much as $14 per month, the research ultimately indicated that $11.99 was "a fair value," said Hopkins. "We think it's objectively a good value but also a reasonable upcharge that also makes the $7.99 price point really valuable, too." Hulu hopes the new option will allow the company, which currently has 9 million subscribers, to make up some ground against Netflix, which now has 65 million subscribers worldwide (with 42 million of those in the U.S.). While the no-ad options will undoubtedly be attractive to the "ad avoiders," the $11.99 price point puts it well ahead of Netflix, whose own monthly ad-free streaming plans start at $7.99. The move caps a year-long initiative to invest significantly more in content, both in original and acquired shows. On Sunday, Hulu announced it had stepped in for Netflix and inked a multiyear subscription video on demand deal with Epix to stream recent releases from Lionsgate, MGM and Paramount starting Oct. 1. In recent months, the company also has landed SVOD rights to shows like Seinfeld, South Park, CSI and Empire and has signed wide-ranging content deals with AMC, FX and Turner. 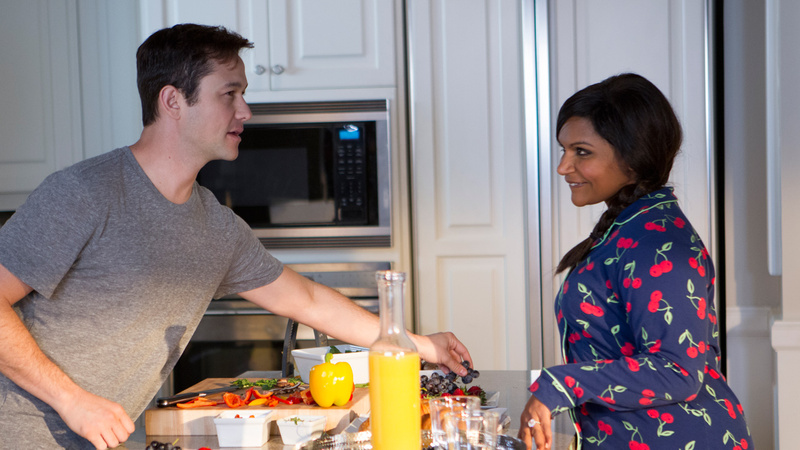 At the same time, the company has lined up an impressive slate of original series, including Season 4 of The Mindy Project (debuting Sept. 15) and comedy Casual, executive produced by Jason Reitman (premiering Oct. 7). Next year will bring drama The Way, starring Aaron Paul and Michelle Monaghan, and 11/22/63, its highly anticipated event series from Stephen King and J.J. Abrams, starring James Franco. Subscribers looking to upgrade to the commercial-free tier will be able to switch their plans on Hulu's website and most devices that support Hulu. For those who switch to the "no commercials" plan, the billing date will reset instantly. If "no commercials" customers want to switch to "limited commercials," that change will take effect at the start of the next billing cycle.